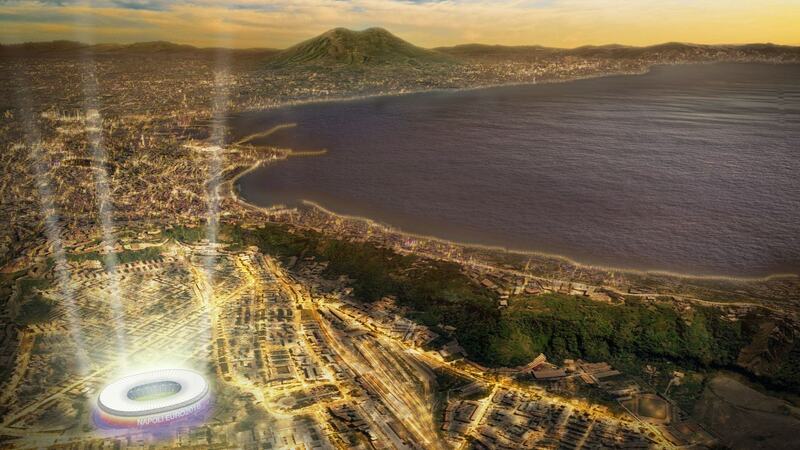 The vision was created as part of Italy’s bid to host Euro 2016. The bid was unsuccessful, but Manica Architecture’s 2010 concept became a point of reference for years to come. It addressed the main issue, which is heavily outdated infrastructure and huge distance between players and fans. Along with the plan majority of the main structure would be left intact and thus most of the upper seating would be retained. 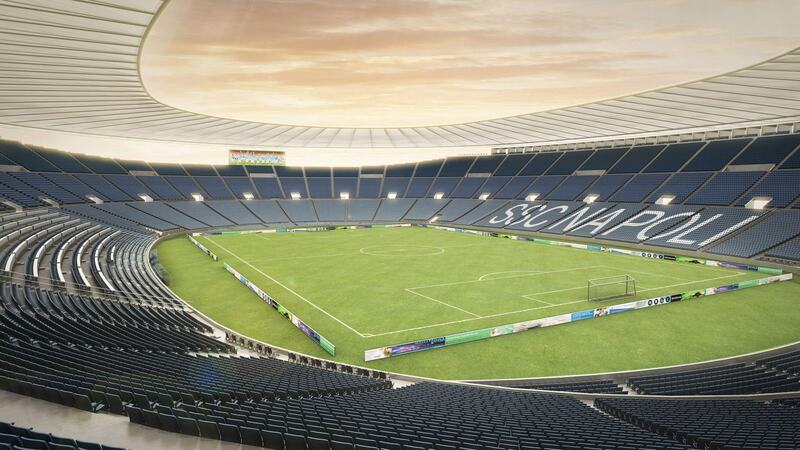 Topped by skyboxes and lowered behind both goals, the stands would be extended downwards with a new lowermost tier. This way fans in front rows would be moved a lot closer to the action than they’ve been since the stadium opened. 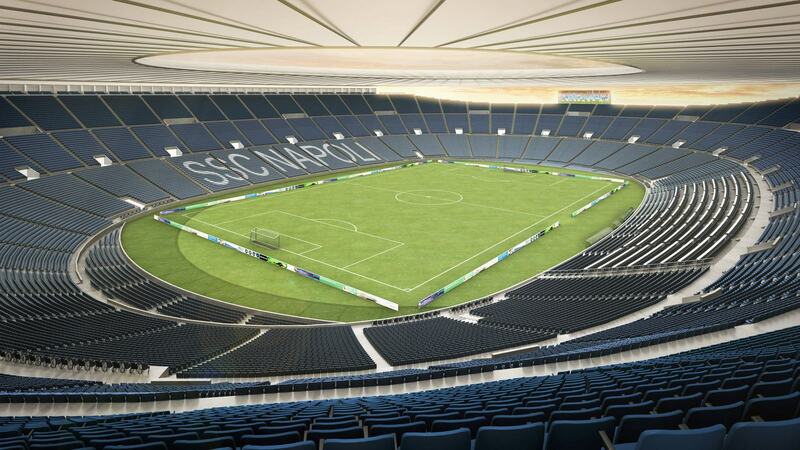 New lighter roof based on a steel frame was to reach better inside the stadium, protecting fans in the new lower rows. 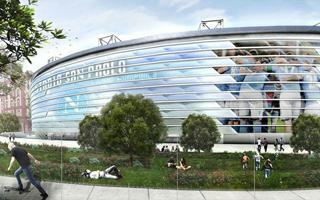 Outer cladding with extensive use of LED lights was to bring the stadium to life also outside by using multimedia displays.